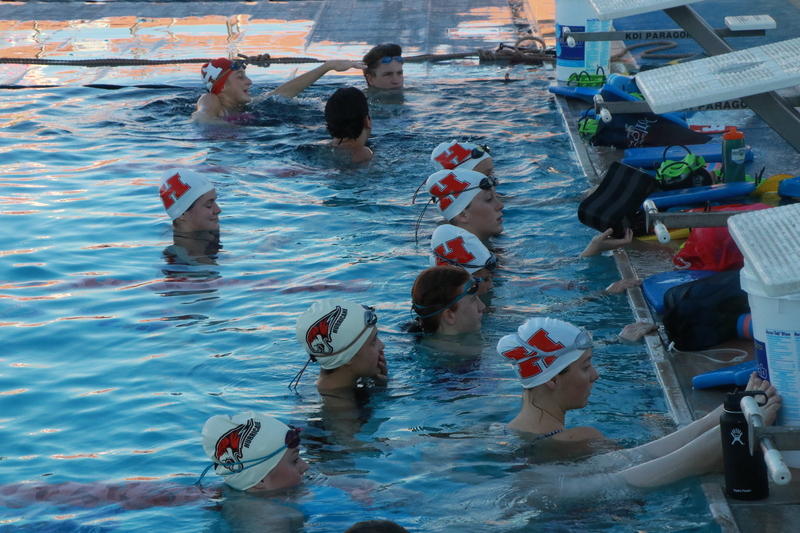 HURRICANE — Although high school swimming is considered an indoor sport in Utah, the Hurricane High School swim team has been doing its workouts and practices this season in the city’s outdoor pool. 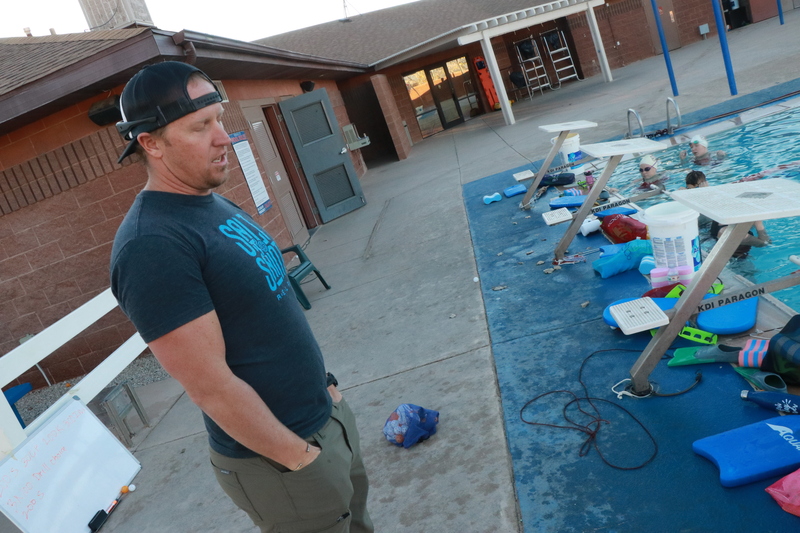 Hurricane head coach Heath Thurston said this year marks the Tigers’ first season using the outdoor Hurricane City Pool, after having to share pool time over the past four or five years with Desert Hills and Pine View high schools at the Washington City Community Center. The previous arrangement meant several miles of extra driving time and late-night practices, he said. 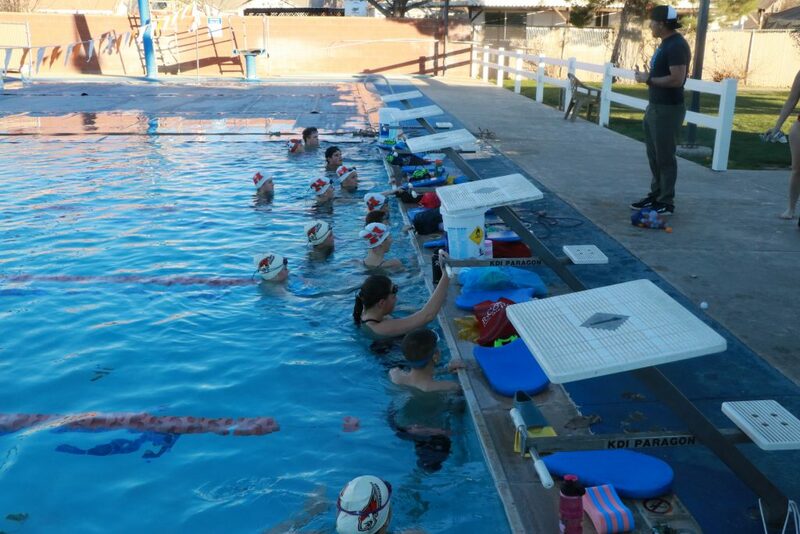 Earlier this year, the Hurricane athletes, coaches and parents approached the city to see about keeping the pool open during the winter. 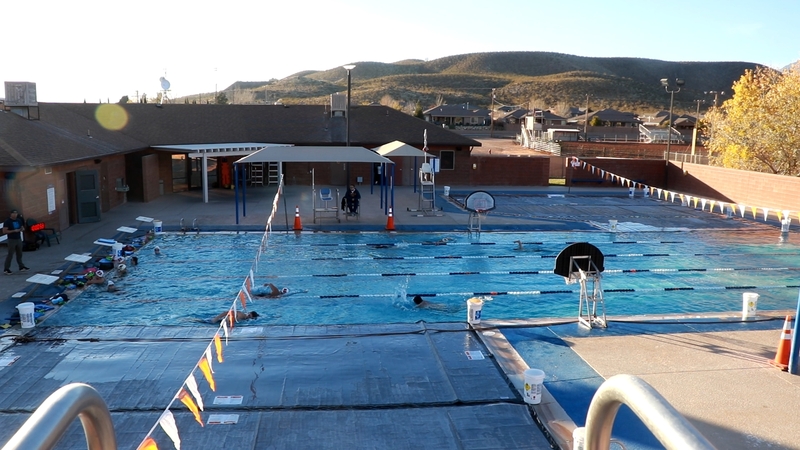 City officials agreed to not only keep the pool open, but approved the installation of new tarp coverings to help the water temperature stay warmer, the coach said. “This year, we have prime time, right after school,” Thurston said during a recent practice. 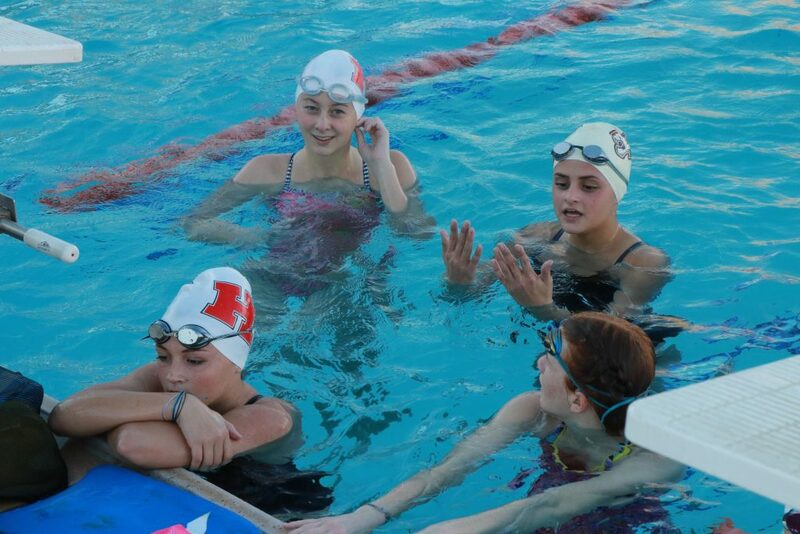 The team, which has about 35 swimmers, including 22 girls, works out every weekday from 3:30 to 5:30 p.m.
“This is the first time Hurricane has been able to practice in its own facility,” Thurston said, adding he believes his team is the only active high school team in Utah to have regular practices outside. Last Thursday, the outdoor temperature was in the low 40s and a brisk wind was blowing across the surface of the water. The following afternoon, the temperature had warmed up to around 52 degrees with only a slight breeze, a marked contrast from the preceding day. The teenage athletes appeared to take the chilly conditions in stride, focusing on improving their technique and conditioning as they logged between 3,000 and 5,000 meters apiece during one two-hour session. Although all Utah High School Activities Association official race distances are measured in yards, Hurricane’s five-lane practice pool is 25 meters long. Among the boys team’s top standouts is junior Ryan Bunn, who won the gold medal in two individual events at the state 3A meet last year, taking first in both the 100-yard butterfly and the 200-yard freestyle. Earlier this season, Bunn established a new personal best in the 100-yard butterfly, recording a time of 53.79 seconds at the Cedar Invitational on Nov. 10. He nearly equaled that mark with a time of 53.80 seconds at a meet in Moab Dec. 8. Bunn is ranked first among 4A swimmers statewide in the 100-yard freestyle with a season-best time of 48.28 seconds, and is also second in the 50-yard freestyle with a time of 22.23 seconds. 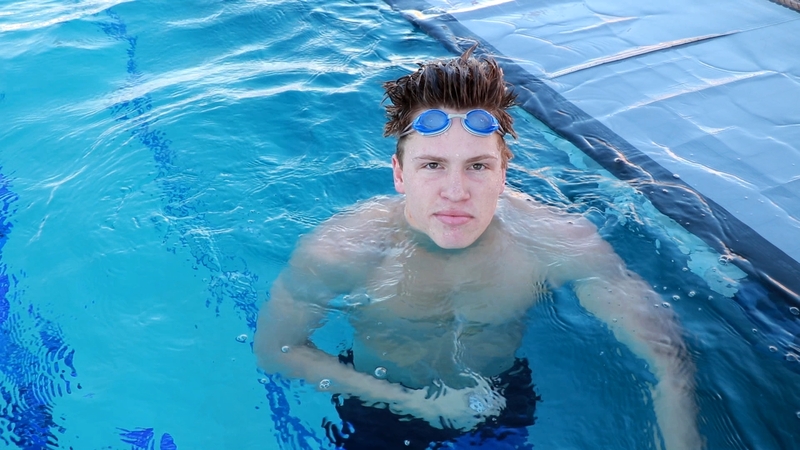 “I love to race,” said Bunn, who has been swimming competitively since he was 9 years old. He said practicing outdoors doesn’t bother him. For the Lady Tigers, senior Becky Douglas, a captain now in her fourth year with the team, specializes in the 100-yard breaststroke event. Her best time this season is 1:15.47, about a second slower than her best time last year, but she says she’s confident she’ll drop that time over the latter half of the season. 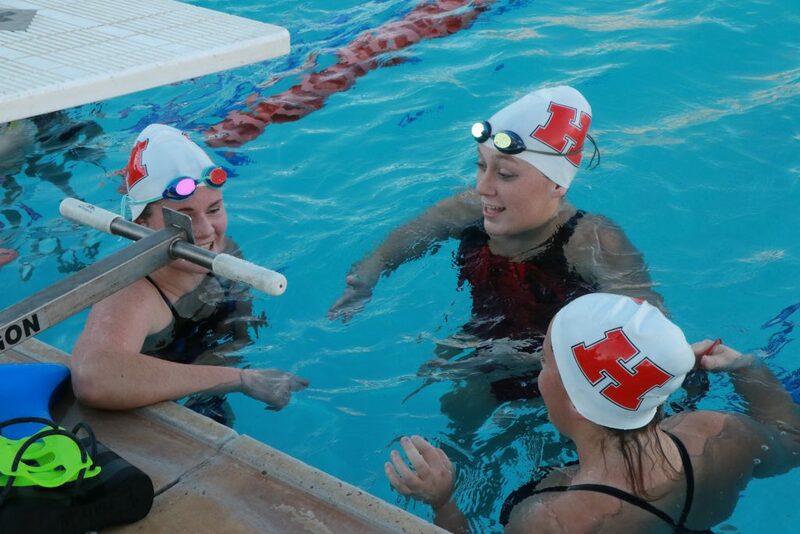 Hurricane sophomore Kylie South, who just started swimming competitively this year, also said the pool was “pretty cold,” but said she enjoys working on improving her times. Her specialty race is the 50-yard freestyle, she said. “We have an awesome team this year,” coach Thurston said, briefly interrupting himself to holler “Keep swimming!” at the athletes in the water. 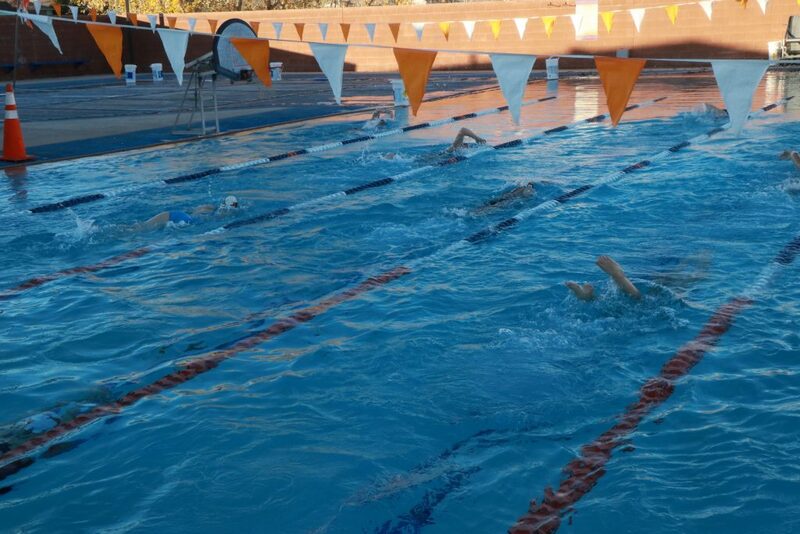 Saturday, the Tigers took part in a five-team meet at the Washington City Community Center, where they competed against teams from Desert Hills, Pine View, Canyon View and Cedar high schools. The high school swim season, which is now about halfway over, will conclude with the state championships in February. The 4A state meet is scheduled for Feb. 9-10 at the South Davis Recreation Center in Bountiful. Now I do not know this coach, so I’m not making any accusation here. But it certainly does make me wonder. OK perhaps I am making an accusation here. One of very poor judgement on the part of the coach, the school, and the parents that allow it.